Walkable, transit-rich New York — with its rhetoric of opportunity, diversity, and wealth of public spaces — may seem a pinnacle of accessibility and mobility. But the city’s vulnerable populations are often excluded: the homeless are run out, disabled residents unaccommodated, and certain ethnic, racial, or socioeconomic groups unwelcome in some parts of town. As sociologist Lucia Trimbur explains below, the mobility of another particularly vulnerable group — formerly incarcerated men of color — has been increasingly circumscribed by policy changes that constrict opportunities for reintegration into society, effectively shrinking their city. Formerly incarcerated individuals face a complex web of parole requirements and the diminished opportunity to land a job. And while traditional prisoner reentry programs — including supportive housing developments, job training programs, and creative expression classes — aim to stem the high recidivism rates that often arise from this situation, Trimbur highlights a more informal piece of the city’s reentry infrastructure. Through four years of ethnographic research, Trimbur has documented how Gleason’s Gym — arguably one of the most famous boxing gyms in the world — operates as a refuge for young, formerly incarcerated men of color seeking to navigate the post-prison landscape with the mentorship and support of their trainers. In doing so, Trimbur makes visible the highly personal relationships and inventive strategies that these men use to find a place in a city where simply hanging out on their own block could lead to more prison time and the opportunity to start anew is fraught with obstacles. —J.T. Max and I are chatting over pasta in a sleepy, dimly lit, and somewhat grimy diner down the street from Gleason’s Gym in DUMBO, Brooklyn. Max has just completed his workout for the day, and is reflecting on the importance of the gym in his transformation from successful drug salesman to wage laborer. Trading heroin provided Max with the disposable income necessary to pay tuition at community college. But after a harrowing criminal trial and attendant stint in jail, combined with the unanticipated excitement of fatherhood, Max now views the consequences of participation in extra-legal economies as unattractive. He has secured work in the formal economy and is pursuing a career in boxing. And he has found support for his decision in a network of care at Gleason’s Gym. Like many coaches, his trainer, Mike, plays the role of a father, instructing him both athletically and socially. Other trainers and boxers, who have made similar transitions, commiserate about the vicissitudes of Max’s new path and encourage him when he wants to give up. Max says he can discuss his struggles and successes in this urban gym in a way he cannot anywhere else. Though poor and working-class men of color have long patronized urban boxing gyms, participation in pugilistic cultures has taken on new significance for men like Max, who use Gleason’s Gym to reenter society after forced confinement. With many of the excarcerated returning to so-called “million dollar blocks” — areas where over a million dollars are spent yearly to incarcerate individuals who otherwise live there — and subject to the restrictions of parole supervision, fewer and fewer places are available to them to spend their days and create communities. While the term “shrinking city” is often deployed to describe flight from urban centers, it can also describe the limitations placed on certain residents in their uses of their city. In the case of postindustrial New York, the shrinking city can signify the circumscription of space where men of color can go to reintegrate after prison and the places they can viably inhabit with men in similar circumstances. As I write in Come Out Swinging: The Changing World of Boxing in Gleason’s Gym, I did four years of ethnographic fieldwork at Gleason’s Gym to understand how men of color comprehend and negotiate the shrinking options that class exclusion and racial segregation in New York City produce. The men with whom I worked live in neighborhoods — Bedford-Stuyvesant, Bushwick, Canarsie, Crown Heights, East New York, and Flatbush in Brooklyn, Far Rockaway in Queens, the South Bronx, and the Lower East Side of Manhattan — where joblessness, school dropout rates, and percentages of forced confinement are high. The men in my study — in particular, amateur boxers, who do not receive any compensation for their athletic activities — seek out the urban boxing gym to recover from detention and establish stability in the free world. Their uses of the urban gym illuminate how spatial and social experiences take physical form as well as the inventive strategies people devise to respond to social disadvantage. New York City’s landscape has changed substantially over the past forty years. Today our city’s postindustrial conditions are best described as the result of economic and social restructurings that began in the late 1960s. A decline in manufacturing and rise of services reconfigured patterns of work, reducing the number of manufacturing jobs available to workers of color, shutting them out of the best paid employment in the burgeoning service economy, and relegating them to part-time and poorly paid service positions. At the same time, shifts in social policy also disproportionately burdened black and brown people. “Tough on crime” legislation reduced opportunities for rehabilitation and fixated instead on an array of punitive penalties, such as three-strike rules, truth-in-sentencing regulations, victim impact statements, sentencing guidelines, and “zero tolerance” policies. The new crime complex required longer sentences than ever before and expanded the number of nonviolent acts considered criminal, inflating the prison population even as crime rates dropped. Anti-black racism generated racial disparities at every level of criminal justice decision-making, from first contact with the police to sentencing. These policies and practices shape the ways men of color reintegrate after time in the criminal justice system. Laws that prohibit convicted drug salesmen to return to social housing units and reunite with their families limit access to basic accommodation and, more often than not, mean that men live with loved ones but try to spend as little time as possible at home to avoid detection. Proliferating parole requirements, such as intensified reporting, mandatory curfews, unannounced home and work visits, bans on socializing with other former prisoners, and prohibitions on any contact with law enforcement (regardless of the outcome; that is, even if not arrested) make community supervision a near-full-time job and preventing unintentional violations of parole increasingly difficult. Stop and Frisk policies exacerbate the difficulties of an already obsessive system of survillence. To recover from forced confinement and establish some semblance of stability, many former prisoners join Gleason’s Gym. The gym was founded in the South Bronx in 1937 but was pushed out of its digs in 1974 by redevelopment plans. It moved to midtown Manhattan — just around the corner from Madison Square Garden — but again had to relocate in 1984 when it settled in an unnamed district of the Brooklyn waterfront, now called DUMBO (Down Under the Manhattan Bridge Overpass). Almost immediately after its creation, Gleason’s Gym drew the attention of famous boxers: Jake LaMotta, Joe Frazier, and Roberto Duran trained there, while other famous pugilists worked there when in town. 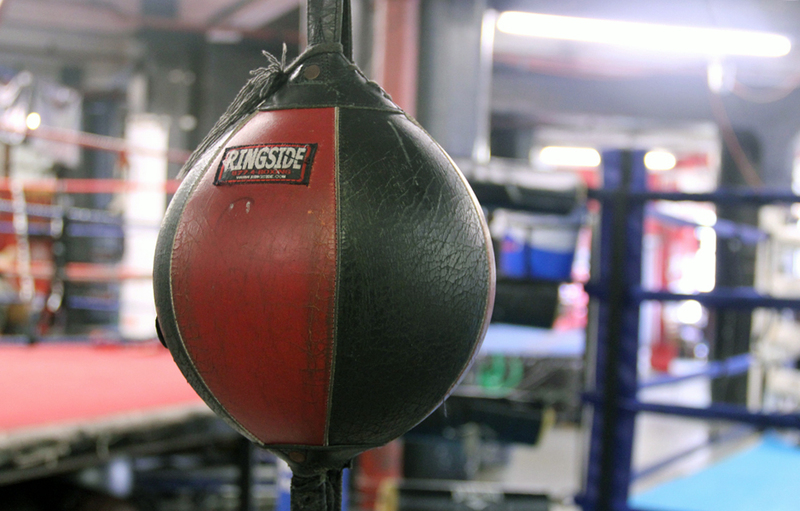 In addition to boasting the most rigorous amateur and professional boxers in New York, as DUMBO has gentrified, Gleason’s Gym has become the gym of choice for local wealthy residents. It has approximately 1000 members: roughly 200 professional fighters, 200 amateur boxers, 200 women pugilists, and 400 “white-collar clients,” upper-middle- and upper-class doctors, lawyers, and businessmen who pay substantially to be trained one-on-one by gym trainers. The pillar of prisoner reentry in Gleason’s Gym is the informal mentoring relationships between trainers and fighters. Trainers guide amateur boxers in a number of ways, among them finding their fighters work. Because boxers are stigmatized with criminal records, they are often unemployed or in insecure positions. Trainers are constantly on the lookout for jobs; they talk with other gym members about potential vacancies and openings. For example, when a large furniture chain moved downstairs from the gym, Harry, a trainer, encouraged Max to apply for a job. When Mike realized that the manager of the store was one of his recreational clients, he advocated for Max and succeeded in getting him the job. When Scott, another amateur boxer, lost his job, Harry used his connections in the neighborhood to find him work in a restaurant. And Peter, one of the gym’s most well-established trainers, regularly shared information about positions in security and construction while William, a trainer who doubled as a stunt man, frequently recruited amateur fighters as extras in film and television. Trainers also work as counselors to their boxers; they spend significant time listening to and brainstorming solutions to their problems. Diego, who read at a third grade level, discussed his struggles with literacy with Mike, who urged him to take classes. When Diego earned a high score on a practice test while confined on Rikers Island and again when he scored high on the exam, he called Mike from jail with excitement. When Max’s girlfriend had their first child, Max learned about the responsibilities of fatherhood from Mike: how to burp the baby, get vaccinations, and change diapers. Max thought of Mike as the father he never had, and honored the relationship by making him his son’s godfather. Mike also worked as confidante to several fighters who tried to resist reentering the drug trade but found making ends meet impossible on minimum wage. Perhaps most crucially, trainers support their fighters as they struggle with the bureaucracies of crime control. Technical parole violations — acts not considered criminal within the general population but criminal for those on community supervision, such as breaking curfew, socializing with other former prisoners, and interacting with law enforcement regardless of the cause or outcome — and the prison time they bring keep active a cycle of detention that can shatter the stability and confidence of reintegrating former prisoners. Conditions of parole often produce rather than prevent criminality and generate feelings of powerlessness and vulnerability. The thin grounds on which former prisoners feel they can be returned to prison stand in sharp contrast to the tremendous determination demanded for successful reentry. Trainers provide guidance and validation to their boxers as the latter weather the ups and downs of parole supervision. When pugilists return to prison, trainers stay in touch and encourage them during their sentences. Omar was detained for violating a condition of his release when the police were called to his home after a domestic dispute. As a consequence, he was reincarcerated and lost both his job and his car, on which he could not make payments because he was not earning an income while on Rikers Island. Losing the position in building maintenance, for which he trained in state prison, was particularly distressing because he had worked for several years as a delivery driver while he waited to find a job in his field. Conditions of release posed significant problems for Anthony. Though he was not reincarcerated, he spent significant time consumed with worry that he would be sent back to prison after a confrontation with a relative’s boyfriend, in which the police were called, even though he was never arrested or charged. His parole officer’s power over his future was both disheartening and unnerving as he was working hard to leave behind his criminal past. Harry was denied entry to Canada because of his criminal record while Kenny spent a weekend in jail after getting swept up in a police raid in his building without identification. Omar also maintained his connection to the gym community while imprisoned. His trainers met him when he was released from a state prison in Connecticut and drove him back to New York City, providing him with a degree of stability as he transitioned. With shrinking opportunities in other spaces of New York City, the urban gym remains one of the last social institutions available to young men of color to reenter society on their own terms, with the support of men who have made similar life changes. Boxers and trainers respond inventively to the racial and class hierarchies of New York City, fashioning new identities in the midst of social inequality and an unforgiving criminal justice system. However, the gym is not able to meet all the needs of the boxers who seek it out. Though gym members use it to respond to societal hierarchies outside the gym, it doesn’t change those hierarchies. The gym is a refuge, necessary but not sufficient. All photos by Jonathan Tarleton. Lucia Trimbur is an Associate Professor of Sociology at John Jay College, CUNY and doctoral faculty in Criminal Justice at CUNY’s Graduate Center. She is the author of Come Out Swinging: The Changing World of Boxing in Gleason’s Gym (Princeton 2013).